Anna fell asleep in the car and for once I let the car be still, turning off the typical noises from a radio, podcast, or cd. The car was silent. In that moment, I could feel the neediness of my heart. As I tried to form a pray, my brain seemed to fail. So I retreated to words that I prayed before in the company of friends, but never felt like was “my style”. In the silence of my car on this crazy day, week, month, and year, the rosary was comfort like never before. 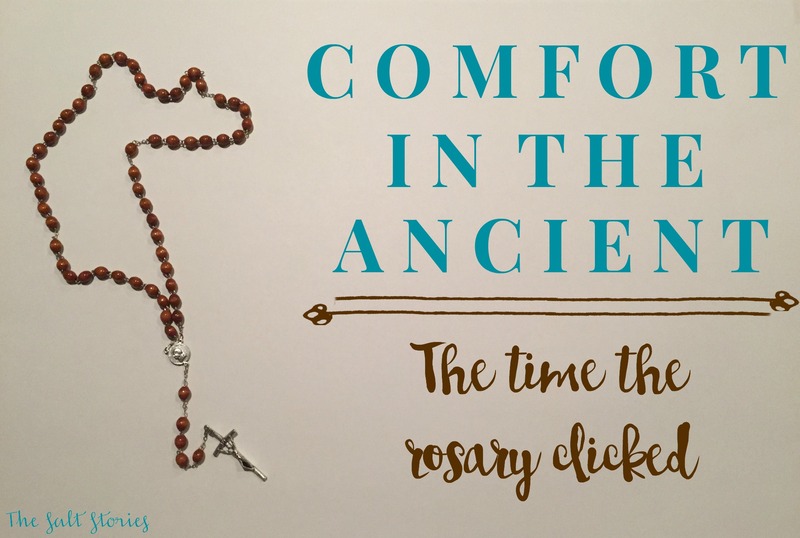 It was one of the first times the rosary was the perfect comfort, devotion, and prayer for the moment. It clicked. The words rolled off my tongue with ease, and suddenly there was peace. I used my fingers on the steering wheel to count the prayers. I felt like I was joining an ancient league of brave soldiers, all marching in unison while learning about holiness in the trenches and mountain tops of their vocation. Our faith is a community. The trinity is God three-in-one, and we are encouraged to pray and know the love and mercy of God with our community here on earth, and with the community alive in heaven. It was like sitting across a table that death could not divide. I was chatting with the mother of Jesus, hearing the scriptural stories of her son growing, his ministry, and his ultimate sacrifice. I felt Mother Mary holding my hands and nodding in solidarity like a mother only could, pointing me toward all that is good and where rest could be found, her son. Ancient and ritual prayers do not have to be stale, with your intentions in the correct place, a prayer like the rosary, should be a truly contemplative prayer activated by our heart and body. There are many days where this prayer fills me with peace and there are days it feels like work. But I have faith that the power of prayer is not tied to what I feel in the moment. Maybe this prayer doesn’t click with you right now, that is okay. Just give it a chance. Heed the words of Jesus on the cross, “behold your mother.” (John 19:27). Let yourself find comfort and peace in the habit of this prayer. One day it might just click. I love this post Amy. I did not grow up in a home that prayed, much less the rosary. 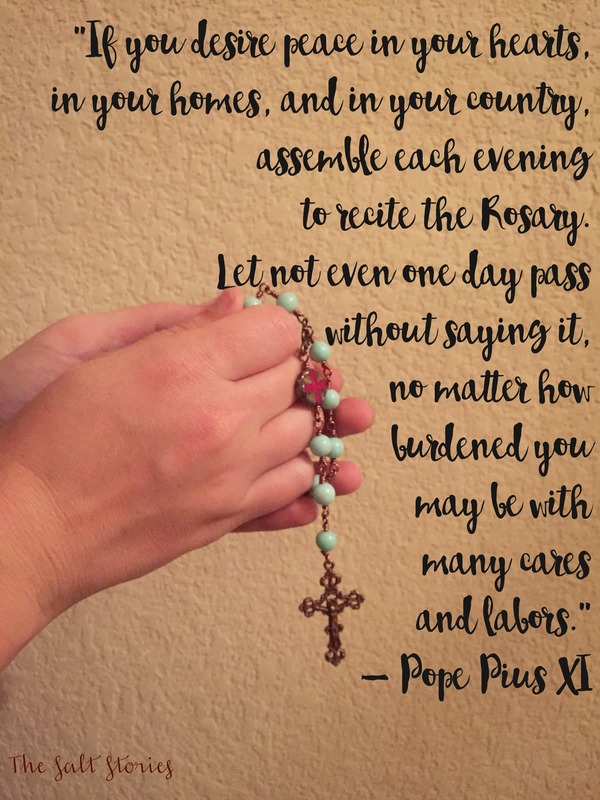 For years now we have been praying the family rosary (not perfectly) and I cannot image my life without this familiar conversation about my Jesus. Such a lovely explanation of the rosary. Thanks Jenny! There is such peace in knowing prayers that my heart can say, when my mind fails me. It seems the best prayers are those that come from the heart, not the mind. This was a wonderful post, Amy. Thank you for sharing your experience of finding peace in the midst of the madness. Thanks for reading Kathy!! 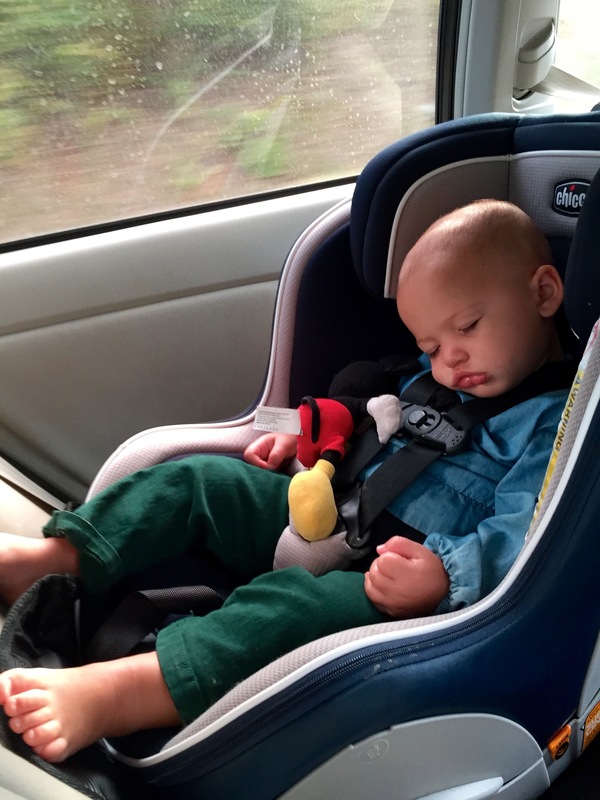 I am learning more every day that this job of motherhood is all an adventure. Oh yes! 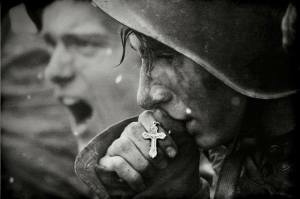 The rosary’s power and depth tied to it’s simplicity seems to be the perfect prayer during a long day. Thanks for stopping by Becky.